Here is a colorful addition for your garden! 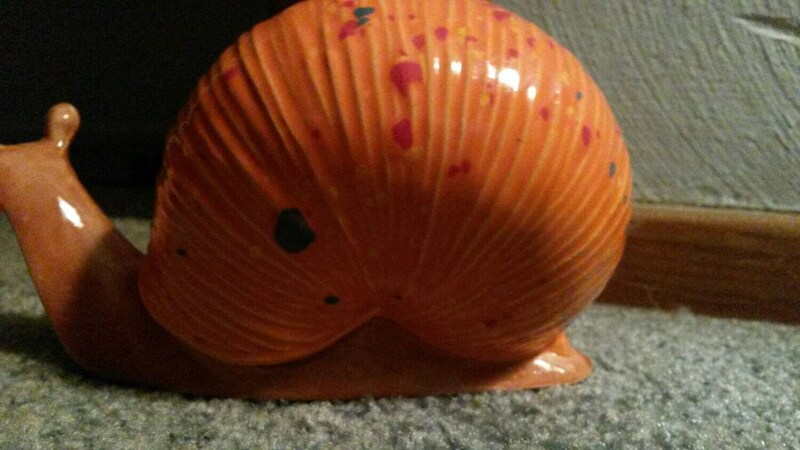 Orange crush is the color of the glaze I used for the shell. 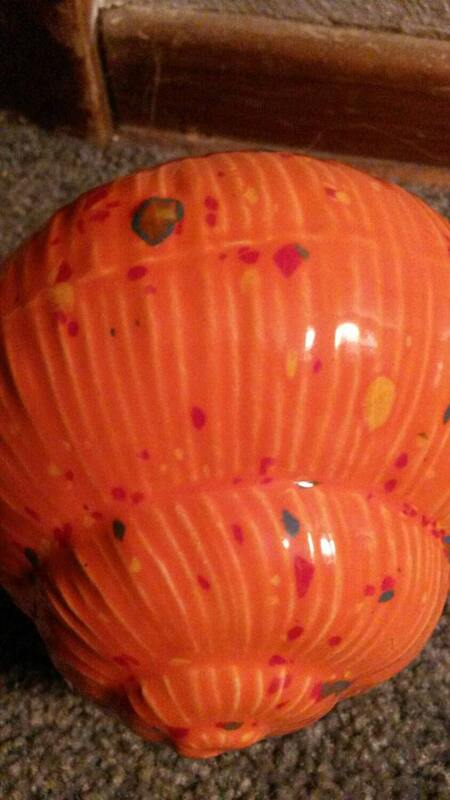 It is a bright orange color with colorful specks of red, blue and yellow. 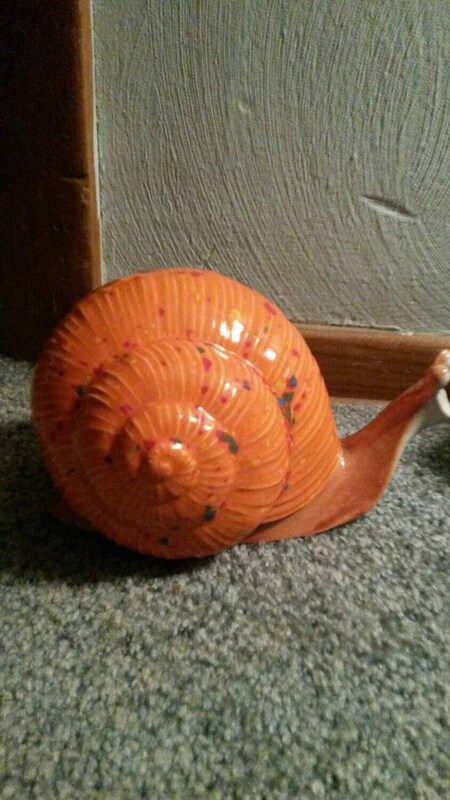 It is approximately 6 inches in length and 3 inches high. No two pieces are exactly the same because of the crystal effects.